What challenges do companies face in the age of digitalization? How does the future store look like? Is there a chance for brick and mortar stores in the digital revolution at all? How can the supply chain be digitalized? How much technology do consumers need while shopping in stores? 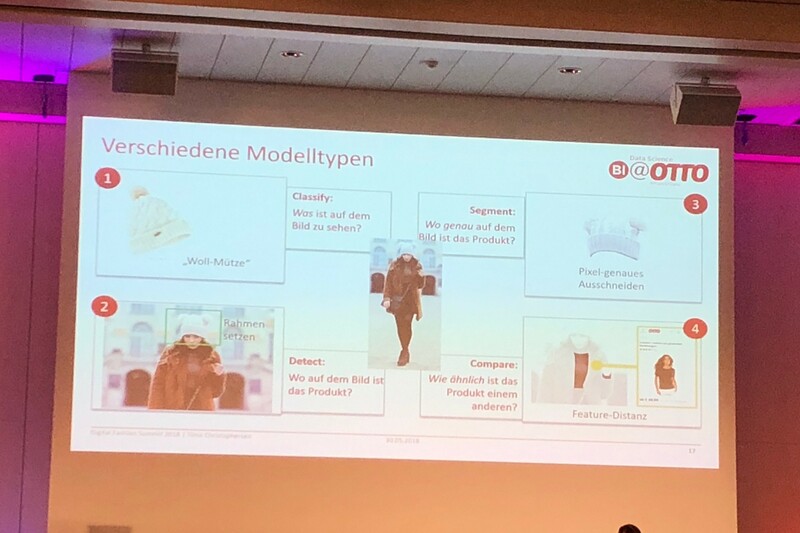 All these were questions or even concerns during the German Digital Fashion Summit which took place in Frankfurt’s Marriott Hotel on May 30th. The event was organized by the main German magazine for fashion and textile industry TextilWirtschaft. About 300 participants attended this forum for leaders and decision makers in fashion industry. The set up was a mixture of presentations, case studies and panel discussions, including a presentation of research results. 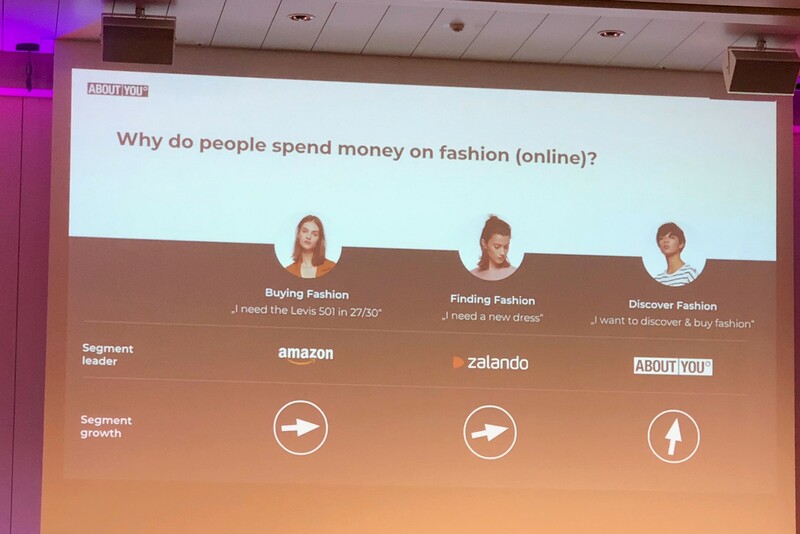 We are solution managers and are responsible for Go-To-Market Fashion within the Industry Business Unit Retail of SAP and were delighted to be part of the first summit of this kind in Germany. With this blog we want to share our impressions and key learnings of this event. At the start of the summit, consumers as human beings were in focus. Research results revealed that today’s consumers are overwhelmed by the extensive amount of information. Transiency and greed for novelty rules consumer’s everyday life. Consumers are looking for orientation, stability, identification and finally for ways to simplify their lives. These needs evolved the so-called eclectic copy&paste culture where following style icons and celebrities moved to the center of interest of consumers. Following this approach, ABOUT YOU is leading the growing market of online fashion discovery. Their online shop is not solely structured in the traditional way anymore, but uses runway models or social media influencers to present new styles and suggest entire outfits to shoppers. You as a consumer are even asked to upload your own style to inspire the fashion community. But does that mean that there is no room for the traditional brick and mortar store in future fashion retail anymore? Still, the fashion industry very much relies on haptic impressions and after all, most humans like interaction and communication with each other. During the summit, it became crystal clear that stores will always be part of city centers, but the character of stores has to change dramatically. Current consumer behavior tends to target shopping, with consumers being well-informed before even entering the store. Spontaneous shopping rather decreases. Consequently, well-educated and service-oriented sales staff is crucial for future stores. Sales staff needs to live up to the role of brand ambassadors, inspirators and problem solvers. Consumers are looking more than ever for something special when visiting stores, some wonderful experience and service they can never get via the internet. 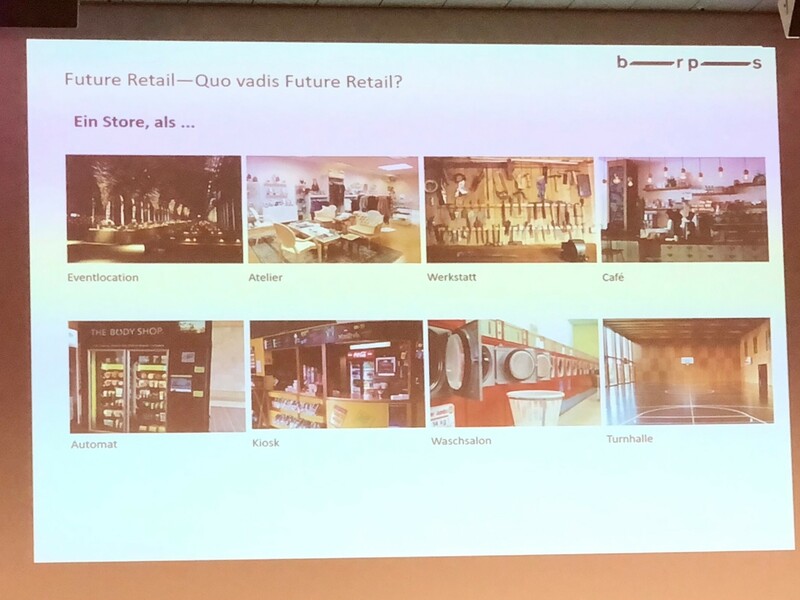 Following this idea, one of the speakers asks the question “Quo vadis Future Retail” and brought up some innovative ideas, like the store as event location, as coffee shop, as factory or even as laundry. In summary, stores must make the difference to survive in future! One very impressing presentation for us was the one held by Timo Christophersen of OTTO.de on “Artificial Intelligence in e-commerce and Image Recognition via deep learning”. He presented several use cases for visual product recognition and search, for example, consumers can use their smart phones to capture a photo of an outfit or item being displayed. The image recognition can detect the types of products in the photo, separate the outfit in its fashion items (e.g. cap, coat, trousers, shirt), and as a second step propose similar items that can be ordered via Otto to get the outfit wanted. Many fashion companies have already taken the first steps and are now experimenting with the vast opportunities that technology opens ups for future fashion business processes. Digitization can also lead to major improvements in production development and design. Using digital prototypes drastically speeds up design time and reduces sampling costs. Sampling costs can amount to 10% of revenues in the fashion industry. 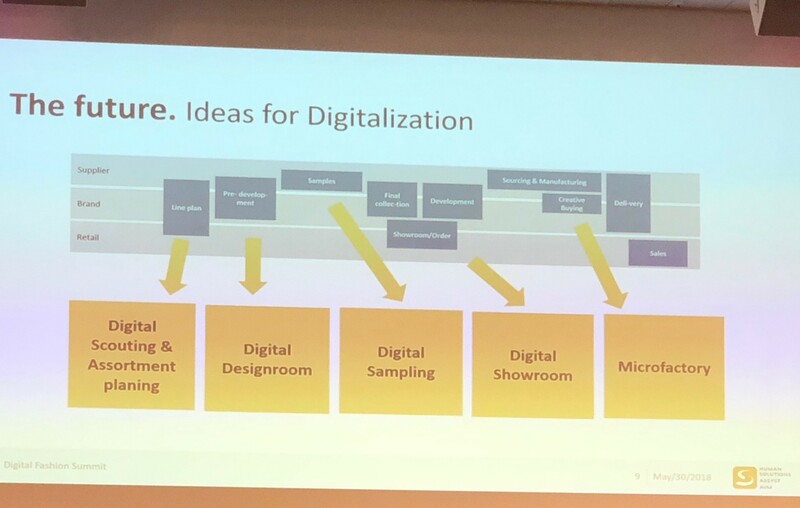 During his presentation, Dr. Andreas Seidl from HUMAN SOLUTIONS explained its wide range of digital sampling possibilities. Where earlier paper, pencil, scissors and sewing machines were needed for sampling, now 3D simulation tools, CAD and cloud are doing the job within much less time. HUMAN SOLUTIONS also brought up further ideas for digitization, like e.g. digital scouting and assortment planning, digital design room, digital show room and micro factory. Indeed, micro factory is another thrilling topic that was also touched during the summit by HOLY FASHION GROUP’s Henning von Einsiedel. Modern machines, including body scanners, laser printers, 3D printers, circular knitting machines and easy to use design programs make producing of personalized items and lot size of 1 more and more feasible and payable. One thing is certain, technology will rewrite rules in the fashion industry. Digitization is an ongoing process. Only keeping track of fast changing technology and continuous improvement in business processes will guaranty that fashion companies will survive. But digitization does not start with technology, it starts with the consumers. They will remain in the center of the fashion universe and drive the digital transformation. At consumer touch points technology will only be accepted if it is easy to use and provides real benefits to the shopping experience. Just like many other consumers, personally, we remain traditional store shoppers – at least partially – and are very excited which technology will jazz up our favorite stores in future. Digitization should be seen as a fascinating chance not as something to resist or seen as a curse.